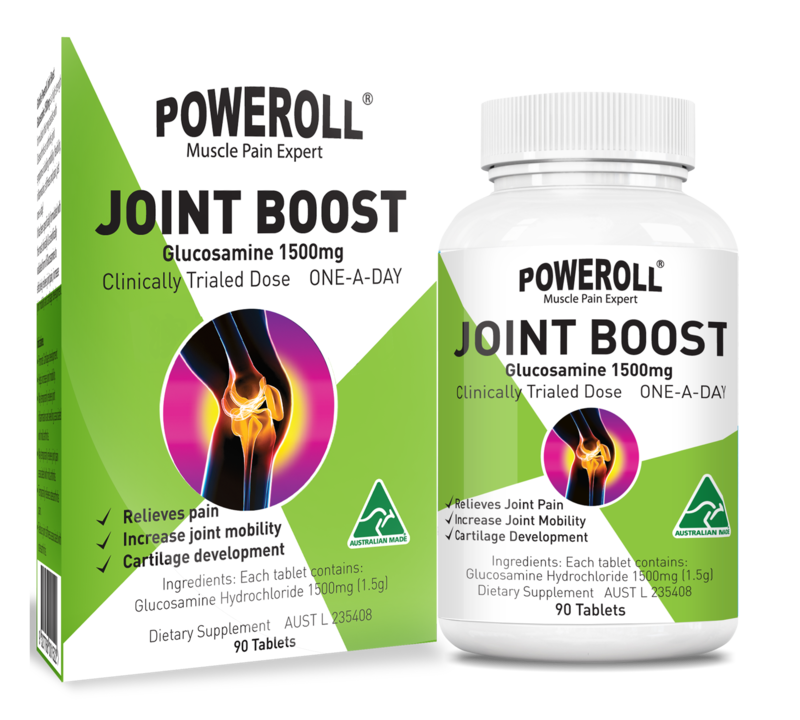 Glimlife Poweroll Joint Boost Glucosamine 1500mg is a high strength formulation that may assists with Osteoarthritis or arthritis joint symptoms including mobility, flexibility, inflammation, stiffness and pain, just one-a-day! It has been specifically formulated with the most clinically & scientifically validated form of Glucosamine to effectively relieve joint pain, increase joint mobility and cartilage development. May temporarily relieve joint pain associated with mild arthritis. Take 1 tablet a day with a meal. Children under 12 years - Only as professionally prescribed. Derived from seafood. Not recommended for people with seafood allergies. Store below 30 ºC. If symptoms persist see your healthcare professional. Store in a cool, dry place, out of reach of children.